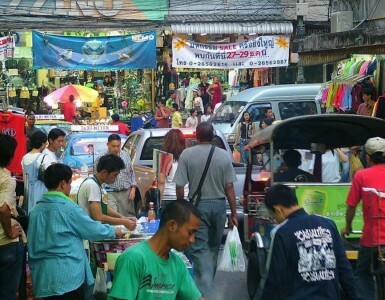 Finding a Hotel near Platinum mall Bangkok is a must for serious shoppers! The Pratunam-Ratchaprasong area is a dream destination for anyone looking to shop until they drop, as it is home to many famous shopping centers such as CentralWorld, Siam Paragon, Gaysorn Village, Pantip Plaza, and of course The Platinum Fashion Mall. With this in mind, there is no doubt that Novotel Bangkok Platinum Pratunam is the best choice for your stay in Bangkok. Renowned both in Thailand and abroad as the largest one-stop wholesale fashion mall in Asia, The Platinum Fashion Mall is where you can everything devoted to fashion under one roof. From the latest men’s, women’s and children’s fashions to accessories such as shoes, jewelry, belts and handbags, there is something for everyone available at value-for-money prices. Besides their perfect shopping venue, shoppers are surely on the look-out for the ideal hotel to rest after a long day exploring the malls. Stay at Novotel Bangkok Platinum Pratunam and you will never be disappointed with this hotel near Platinum Mall Bangkok! Thanks to our direct connection to The Platinum Fashion Mall via the lobby, you don’t even need to leave the building to already be transported into shopping heaven. Rest up in our comfortable beds, order from our 24-hour room service and enjoy the free WiFi, or replenish yourself at The SQUARE Restaurant. 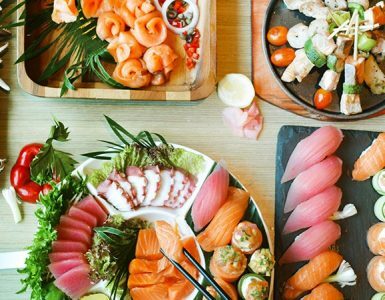 Whether it’s for lunch or dinner, the many types of buffet on offer such as international lunch buffet, Sunday seafood brunch or international buffet dinner mean you’ll always find something delicious. Another suggestion: simply relax and unwind at the infinity pool and BAR9 Beer Garden on the 9th floor, where you can sip our signature cocktail and enjoy panoramic views of Bangkok city. Banish soreness with the healing touch of our In Balance massage service, also available in the comfort of your own room! Or you can always keep fit in the modern In Balance fitness centre. Comfortable, conveniently located and committed to creating great guest experiences? It’s clear that the best choice for your hotel near Platinum mall Bangkok is definitely Novotel Bangkok Platinum Pratunam! Stay with us and we’ll make sure it’s a shopping trip to remember.